Rotary Club of Aberdeen (St. Fittick) - Welcome! A warm welcome to the Aberdeen St. Fittick Rotary Club website! Our club was formed in 1968, and we were delighted to celebrate our 50th Anniversary on 16th February 2018, in the company of one of our founding members, Norris Whyte, who is still actively involved in our various projects and activities. Our members include men and women representing a wide spectrum of the Aberdeen Community, and we actively support many local, national and international charitable causes. If you are a Rotarian visiting the area, you will always be made very welcome at our meetings. Thinking of joining Rotary? We are always looking for new members and we would be delighted to welcome you to one of our meetings to find out more about Rotary and our Club in particular. 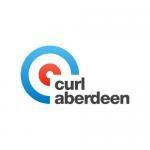 We meet over Wednesday lunchtime at Curl Aberdeen, Eday Walk, AB15 6LN, at 12:45pm for 1:00pm - 2:00pm. You can contact the Club direct using the ‘Contact Us’ Form above, or visit our facebook page.